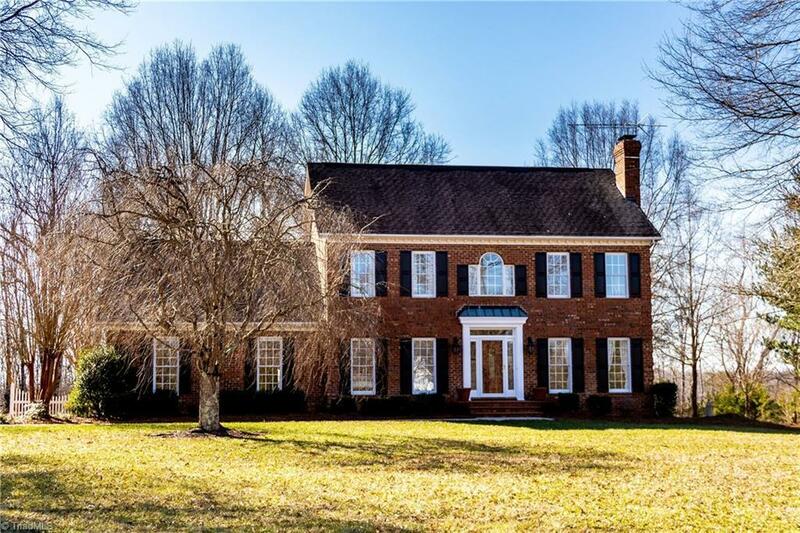 One owner custom built home in rural setting of Eastern Guilford County situated on 4 acres. 2 Stories plus unfinished full daylight basement w/woodstove. Master Suite offers a separate access to permanent stairs for the floored attic. Rear covered porch & brick paver patio. LR w/brick hearth FP. Kitchen w/spacious dining area. Master BR w/sitting rm/bonus and closet area. Master Bath w/Dbl Sinks, Jetted Tub and Separate shower. Office/Bonus on Main level. 24x12 Detached Storage Bldg remains. Fixture Exception Description: Mirror Over Basement Level Sink, Main Level Mirror In Full Bath.